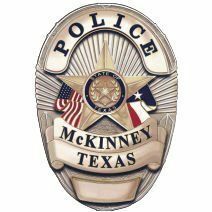 The McKinney Police Department is investigating a domestic disturbance that led to the arrest of a McKinney police officer. Sergeant Audrey Palmer has been arrested on the charge of aggravated assault with a deadly weapon/family violence. Palmer has been placed on administrative leave pending a criminal and internal investigation. At 12:18 a.m. this morning, officers responded at the request of the McKinney Fire Department to an injured person call. Upon arrival, officers learned that there had been a domestic disturbance that had taken place resulting in an injured female. The female was transported to a local hospital by ambulance with non-life threatening injuries. Audrey Palmer has been with the McKinney Police Department for 21 years and was assigned to the Patrol Division. While there is probable cause for an arrest, there is still a lengthy investigation ahead to determine detailed circumstances of the incident. According to a department spokesperson, the investigation is ongoing and "will be handled thoroughly by our department."